Tyne Valgardson Crockett began her dance career studying ballet, jazz and contemporary here in Utah. She then attended UVU in Modern Dance, where she was a member of the Nationally ranked UVU Dance Team and completed a Disney College Program at Walt Disney World in Entertainment. Tyne has served as Choreographer for Nebo School District where she choreographed over 15 musical theater productions and concerts. She also served as the Jazz Department Director at Academy of Ballet and Academy Director at The Performers Place. In 2013, she teamed with Karen Jensen of BYU and founded the Utah Dance Film Festival, MOVE: A 24-Hour Film Competition and ACTION! Dance for Film Workshops, where she currently serves as Director. Tyne has choreographed productions at the SCERA Center for the Arts, including Footloose, The Musical and My Fair Lady. Tyne has a passion for helping her students reach their potential and become true artists. She been with Utah COPA for over two years and she has loved every minute of it. Robyn is a classically trained ballerina with expertise in the Vagnova and Ceccheti Methods. She also received years of extensive training in: Jazz, Lyrical, Hip Hop, Tap, Character, Flexibility, Flamenco, Russian, Cheer and Tumbling. She is a certified Xtend Barre, Mat Pilates and Hot Pilates Instructor. Robyn discovered her love of performing at a young age when she was chosen for the UNLV Starlet Dance Comapny, where she performed at UNLV basketball and football games, as well as the NCAA Final Four Championship. She studied nearly a decade at Studio One in Las Vegas, under the direction of the renowned Inez Mourning. Inez is well known throughout the country for her strong technical emphasis and effective teaching style, and for producing well- rounded dancers. Inez remains a friend and mentor of Robyn’s to this day. Robyn had the opportunity to study under ballet greats such as: Clarence McDorman, Cynthia Gregory, Susan Stroman, J’acques d’Amboise, and the Academy of Nevada Ballet Theatre. Upon moving to Utah Robyn became a NBA dancer for the Utah Jazz. She danced and choreographed for the Jazz dancers and was chosen for an elite deligation that performed internationally on the behalf of the NBA. 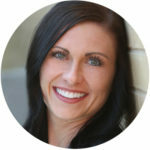 Robyn is a devoted mother of 7 children who has continued to enjoy teaching and choreographing at various dance studios throughout the Wasatch Front over the last 15 years. She is often called upon to teach advanced classes and private lessons. 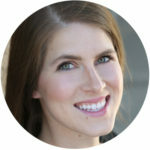 Lindsay graduated with a Bachelor of Arts degree from Brigham Young University with an emphasis in World Dance and Modern Dance, as well as being awarded various Dance Department honors which included Dancers’ Choice, Excellence in Teaching, and the Cherrill Brown Liptak Citation (“awarded to one who through dancing will give and receive joy as well as inspire others to dance”). 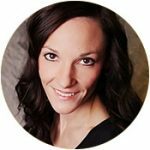 Lindsay has established and coordinated Contemporary, Jazz, and Tap programs with ballet schools throughout Utah Valley, as well as direct studio companies that would fine tune her choreographic voice. While with Classical Ballet Academy (2009-2014), Lindsay directed the studio Contemporary program and served as resident choreographer for the premiere pre-professional company, Provo Civic Ballet. There she created four full contemporary ballets: “Hansel & Gretel: The Revision” (2010); “Ballet Cirque”(2011); “The Land of Oz” (2012), and “Pinocchio: Awake My Soul”(2014). 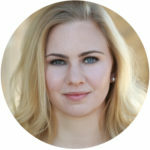 Her repertoire work with Provo Civic Ballet earned attention at dance festivals and competitions – including “Judges Choice” at the Utah Dance Festival (2012, 2013, 2015), and “Outstanding Choreographer” for her solo and ensemble pieces participating in the world renowned Youth America Grand Prix (2013). Most recently Lindsay Folkman has been awarded the prestigious honor of Utah’s Best of State Choreographer in 2014, 2015, and 2016. Lindsay continues setting both her new and restaged contemporary repertoire at festivals and competitions for dance studios, high school dance companies, and competitive soloists throughout Utah. With her extensive training in various genres, and her firm belief in “teaching you will learn”, Lindsay has created for herself a signature fusion of eclectic and visionary movement, collaborating with students in diverse individual style and emotionally-charged artistic freedom. Katy has been dancing and doing gymnastics since she was 5. She spent several years competing in gymnastics and was on her High School’s Varsity Gymnastics team. 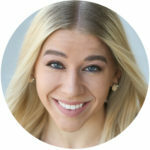 She decided to pursue a career in dance when she began college, and has since graduated from Brigham Young University with a Bachelor of Arts in Dance Performance. Her emphasis is in Contemporary dance, but she is also trained in jazz, hip hop, and ballet. During her time at BYU she was able to choreograph and perform for their contemporary dance team Dancensemble. She performed in the show “YOU” by Graham Brown, a full length contemporary work. She also had the opportunity to work with BYU Professor Caroline Prohosky on a Dance Film as Assistant Producer. This past year she has taught at several dance studios in the Utah Valley, teaching ballet, hip hop, and tumbling. She has always had a passion for dance and choreography, and is excited to begin teaching hip hop at COPA this year. Ceriah was born and raised in Utah County. At age fifteen she moved to Houston, Texas to study with the Houston Ballet Academy where she was later promoted as a member of the main company. While dancing with Houston Ballet, Ms. Tedjamulia performed works by renowned choreographers such as Stanton Welch, Jiri Kylian, Anthony Tudor, and Twyla Tharp. After six years with the Houston Ballet she moved across the country to dance with the Nevada Ballet Theater. In 2010 she was introduced to the GYROTONIC EXPANSION STSTEM®, which began her study and passion for intelligent movement. Now as a certified Pilates and GYROTONIC® instructor, Ms. Tedjamulia brings her understanding of cross-training and biomechanics to support young dancers in well-rounded, foundational training. As a teacher, Ms. Brown has trained under the tutelage of Finis Jhung, Maria Vegh, Beverly Spells, and American Ballet Theatre where she holds a Level 1 teaching certification. She brings a unique perspective to the studio, seeking to develop the whole individual and create artists from the inside out. Her students know that anyone, regardless of their body type, can achieve their goals in dance with vision, hard work, and accountability. Ms. Brown has over 14 years of teaching ballet, pointe, pas de deux, and strength training. 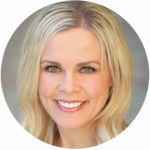 She has developed a body alignment workshop designed to help students of all ages develop a deeper understanding of their own bodies, thereby creating a solid foundation of technique. Ms. Brown, as a ballet director, was responsible for developing a growing Nutcracker production from a cast of 150 dancers to 3 casts of 300 dancers. Her expertise shaped a sound ballet pointe program at a jazz based studio and created two pointe performing companies. Ms. Brown has also directed, staged, and choreographed productions such as La Bayadere, Le Corsaire Pas de Trois Des Odalisques, Swan Lake, Paquita, Cinderella, and Snow White. Heidi McGrath graduated with a Bachelor of Arts in Dance Performance at Brigham Young University (BYU) in April 2015. She received numerous awards and scholarships during her time at BYU, and she was chosen to represent the Dance Department by performing in the convocation ceremony for the College of Fine Arts and Communications. As a member of one of BYU’s top performing companies, Contemporary Dance Theatre, she was able to tour and perform on many stages all over the continental United States, as well as in China and throughout Europe. Heidi has performed multiple years with a tap company called Foot Poetry, and she spent many years competing International Latin Ballroom Dance. 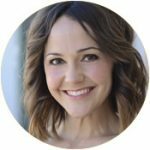 Heidi has trained at the San Francisco Conservatory of Dance, and she has worked closely with acclaimed professionals all over the world. She danced professionally in Utah with Salt Contemporary Dance, directed by Michelle Nielsen, for the last two seasons, and she currently performs with the Hale Centre Theatre. More than anything, she loves people. She loves learning and interacting with others, and she is very grateful for all of the amazing people and opportunities in her life. Madison started heavily competing dance and gymnastics by age 6. She continued both until she stopped gymnastics at Level 9 to be able to focus more on her dancing. She danced and lead her dance company at Alta High as President for 3 years. After, she spent a semester at UVU studying modern dance styles while taking part in their hip hop crew, Mosaic. She then moved out to New York to be with Broadway Dance Center doing their Training Program and Professional Semester while studying and performing in Ballet, Jazz, Contemporary, Hip Hop, Tap, and Musical Theater. She since has moved back to Utah and enjoys teaching and taking class. Miss Alexis is originally from Provo, Utah. She recently moved back to Utah after living and teaching dance in Las Vegas, NV and Boise, ID. She has had the privilege of dancing at Broadway Center in New York City, and taking classes from world known choreographers. While attending school at Utah Valley University her dance team placed 2nd at the Universal Dance Association’s College Nationals. She participated in the 2002 Olympic Closing Ceremonies, and was an Olympic hockey cheerleader. Miss Alexis has been teaching and choreographing for 19 years. Her choreography has won her dancers best showmanship, overall best technique and overall high point in numerous national competitions. Miss Alexis loves teaching at Utah COPA! She enjoys teaching jazz, tap, ballet, combo, jazz technique, hip hop, and choreographing for the pop music companies. This year Miss. Alexis is excited to be directing both the Pre-Company and Jr. Company. She is very happy to be back in Utah doing what she loves. Alexis is happily married to Marc, and together they have 3 beautiful daughter, who love to dance and sing. Kathleen graduated from Brigham Young University (BYU) with a BA in Dance. While attending BYU she performed with the Contemporary Dance Theatre under the direction of Nathan Balser. After BYU she performed nationally and internationally with the Walt Disney Company. She now performs with Disney for special events. Gary grew up with a dance studio in his home where he started dancing at a very young age. Gary has had extensive training in Ballroom, Jazz, Hip Hop, Clogging, and Tap, along with Ballet, Modern, and Broadway. 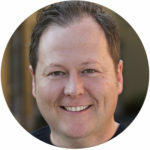 He was involved with several Vocal/Performing groups like Carousel Kids, Clayton Productions, On Stage Studios, and Top of the World Productions where he had private vocal training from Dean Kaelin. He has held several national titles for both Clogging and Ballroom dance, including the 1995 United States Youth American Ballroom Dance Champion. Gary received a scholarship in Ballroom and Folk dance to Brigham Young University (BYU) where he had the opportunity of being a member of the BYU Ballroom and BYU Folk Dance teams. He also fulfilled a childhood dream of being a member of the BYU Young Ambassadors where he toured with them to Thailand, Singapore, and Malaysia. Gary received a BA in Composite Dance from Brigham Young University with a minor in Ballroom Dance. Gary performed for several years in various shows at the Lagoon Theme Park and has also done choreography for Lagoon for the past 10+ years. Gary loves the creative process. His goal is to provide a fun learning environment for his students, where he can share his love for dance and the arts and provide them with the confidence and drive to share their talents with others. Margaret Leszczynski grew up in Orem, UT studying ballet, jazz and contemporary. She was a member of Ballet Utah for a number of years. Margaret was a Soloist in Classical Ballet works such as Sleeping Beauty, Cinderella, The Nutcracker, Paquita, Swan Lake, Snow Queen and more. She has taught dance for 19 years in Utah and Salt Lake Counties. Director of Local companies including ADC where she directed and carried out original works and productions. 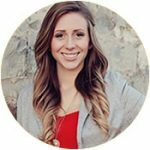 She has been a tour coordinator and guide for local dance groups and worked as the Event Coordinator for the Utah Dance Film Festival. Margaret loves teaching and seeing her students grow. Margaret currently lives in Orem with her husband and two adorable daughters. Kamarie Fernandes grew up dancing in Aurora, Colorado studying ballet, tap, jazz, contemporary, and modern for most of her younger years and travelled around the country to take participate in summer workshops. Kamarie was accepted to BYU in and was given a scholarship for the dance program as an incoming freshman. She performed and choreographed for the BYU Dance Company, DancEnsemble. While on DancEnsemble she was invited to study and perform with the Martha Graham Dance Company for their 2011 tour performance to BYU. After which she was given a scholarship to go to New York and study at the Martha Graham School of Dance. That summer Kamarie and her husband moved to New York and she received training from top professionals in the industry. Kamarie graduated from BYU with a degree in Dance Education with an emphasis in Contemporary Dance and a minor in Theatre Arts. Immediately after graduating, Kamarie was offered the job of full-time Dance Director at Spanish Fork High School in Spanish Fork, Utah. She was director of the Dance Company at Spanish Fork and was able to take them to various workshops, conventions and competitions. Kamarie was also the choreographer for the school musicals which included Kiss Me Kate, Into the Woods, The Drowsy Chaperone, and she choreographed for the Utah Shakespeare Festival and Competition which won awards and honors both years she was able to participate. After graduating and while Kamarie was teaching she was also performing and choreographing for the professional company, Wasatch Contemporary Dance Company. She spent two seasons with the company before she decided to take more time to grow her family. She is currently an adjunct professor in the BYU dance department and a company director and instructor at Utah Conservatory of Performing Arts. 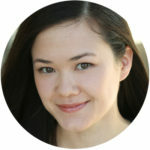 Charis Dexter began ballet at the age of 8 and trained with multiple schools in Arizona and Utah. During the summers she trained with Central West Ballet, Long Beach Ballet (Ambassadors to China program), Central Pennsylvania Youth Ballet, and others. 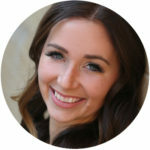 She started her BA attending the University of Arizona and completed her degree in dance with Brigham Young University. Along with the master teachers at these universities she also took classes from many others including Christina Hampton, Garrett Smith, and Alexander Munz creator of the S.A.F.E. project. Charis toured and performed with BYU’s Theatre Ballet doing contemporary and classical work, and choreographed pieces for the performing companies: Theatre Ballet, Ballet Showcase Company, and DancEnsemble. Before graduating she also spent a semester training with Summer Rhatigan at the San Francisco Conservatory of Dance. Since Graduating Charis has co-choreographed an original ballet, Alice in Wonderland, for BYU Theatre Ballet and spent a season contracted with Nevada Ballet Theater in Las Vegas. Charis has been teaching ballet since 2007. She is currently teaching for multiple studios in the valley, and as adjunct faculty at BYU. One of the reasons Charis loves teaching is because it is a medium for both gaining and sharing truth and light. Gabby Hubbard grew up in Mapleton, Utah performing gymnastics at multiple different gymnastics facilities for 14 years and still going. She completed all levels 1-10 and is now currently on the BYU Gymnastics team. She is also studying for her BA in Exercise Science at Brigham Young University. One of Gabby’s favorite events in gymnastics is Floor, which includes a lot of tumbling and dance. She loves tumbling, as well as teaching others how to tumble, and interacting with kids in such a fun and productive environment! Jani Weir began dancing at 6 years old. She continued to study into high school, focusing on ballet, musical theatre and jazz, while also participating in varsity cheerleading. Miss Jani began teaching 20 years ago in 1997 in the LA area. 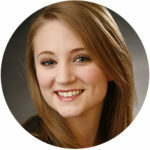 She has studied dance and instructed further in the St. George, UT area. During this time, she taught instructional classes to students ages 3 to adult. In addition to teaching dance to children and adults over the years, Miss Jani has coached cheerleading at a high school level. She trained in all forms of dance. Her love and passion for the art is equal to the love she has for her students. She is currently a preschool teacher and proud momma of 3 and so excited to be part of the COPA family ! Shellie Thomas trained with professional companies including The Sacramento Ballet, Utah Regional Ballet, and Odyssey Dance Theatre. After graduating from high school, she performed at Lagoon (American Jukebox/Monster Classics) and studied Music Dance Theatre at Brigham Young University. While at BYU, Shellie was a soloist on the Ballet Showcase Company. She was chosen by animator, Ryan Woodward, to be a dancer/model for his award-winning short, “Thought of You.” Shellie then performed in Tuachan’s 2010 season of Cats and the regional premier of Tarzan. For the past 8 years, Shellie has taught dance, choreographed and performed in numerous productions in the St. George community. Her favorite roles include Rapunzel/Baker’s Wife (Into the Woods), Gertrude McFuzz (Seussical), Hope Harcourt (Anything Goes), Usherette/Broadway Babe (The Producers), and Kaye (The Taffetas). She and her husband teach the performing arts at Vista School in Ivins and also keep busy raising their three boys! Katie Bruce is from Nevada County, California where she grew up as a tomboy and a jazzerina. As a teenager, she was selected to attend the California Summer School of the Arts, (now renamed InnerSpark), at the California Institute of the Arts, a world renowned college established by Walt Disney. By virtue of that marvelous experience, Katie auditioned for Cornish College of the Arts, where she was accepted as a dance major in 2004. She graduated in 2008 with a B.F.A. emphasizing teaching methods, and afterwards earned a full scholarship for the Master’s program at UC Irvine. While studying and teaching at the Claire Trevor School of the Arts at UCI, Katie researched skateboarding for two full years in order to write a thesis which examined how athletes and artists can collaborate. She taught dance to gymnasts, yoga to skateboarders and Pilates to BMX riders before relocating to Utah. Katie is the Event Director for the Utah Dance Film Festival, where she produces a full weekend of dance and film workshops, film screenings and an awards showcase with live performances. 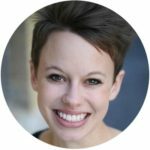 Katie has a broad range of goals and expectations of her students: she encourages each dancer to be physically strong, emotionally intelligent, creatively curious and expressively generous while training and performing. Haley Johnson is from Chicago, Illinois. She began her dance training at the Joffrey Academy of Dance under the direction of Ana Reznik and Alexei Kremnev. She then earned her BFA in dance from the University of Arizona. Johnson trained at numerous intensive programs including Orlando Ballet, Houston Ballet, Netherlands Dance Theater, LINES Ballet, Hubbard Street Dance Chicago, Complexions Contemporary Ballet, New Dialect, and BODYTRAFFIC. She has performed works by Paul Lightfoot and Sol León, Penny Saunders, Crystal Pite, Alejandro Cerrudo, William Forsythe, Dwight Rhoden, Desmond Richardson, and Alonzo King. Alongside performing, Johnson has created multiple choreographic works. She was a selected finalist for the American Choreographic Festival (2017, 2018), received The Undergraduate Creative Achievement Award (2017) from the University of Arizona College of Fine Arts, set work on US International Ballet, and is a finalist for the McCallum Theater Choreography Festival. Johnson is currently dancing her first season with SALT Contemporary Dance. Madison Valgardson started dancing when she was 3 years old and started dancing competitively at the age of 5. By winning numerous awards and trophies Madi gained confidence and wanted to share her talents with others. When she was 8 she started assisting dance and by age 10 she had started teaching her own dance class. She has had the opportunity to take classes from many world known choreographers, teach dance at multiple studios, and choreograph multiple solos and team dances. Her choreography has won multiple dance awards. A few highlights of Madi’s dance career include performing in 2010 at the Peaks Olympic Festival, Rekindle the Fire event in honor of the Olympics. Performing in 2014 when she had the opportunity to perform with Odyssey Dance Theatre in an event for USANA, and also in Odyssey’s annual shows Thriller and Redux Nutcracker. In 2015 she had the opportunity to perform with the well known musical group Gentri. She also had the opportunity to perform for the Governor of Utah at one of his special events. Madi is desirous to help her students find their true identity and reach their true potential. Acceptance, team unity, and a strong family bond are feelings that Madi always tries to generate for her students. Nothing makes her more happy than seeing the people she loves succeed. After returning home from serving an LDS Mission in Modesto, California; she is eager and excited to be working with Utah COPA. Angi’s dance training began in Sandy, Utah with the Academy of Ballet Arts. She was one of the original members of the Mountain West Ballet Company, performing in the Nutcracker and Coppelia. In high school, Angi developed a love for jazz as well, and was a 2 year member of the state championship Hillcrest High School Drill Team. She was head drill mistress her junior year, assisting with the choreography of the routines. Senior year she participated in dance company, choreographing 2 pieces for concert, and was a member of the National Championship Songleading Squad. As a freshman, she was the recipient of a dance talent award to BYU, where she was a Cougarette for one year, and a varsity songleader for 2 years. During her time at BYU, Angi was a dancer for the Miss Utah Pageant, as well as an instructor at the BYU dance/cheer camp. Angi studied health and dance education. 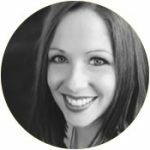 Upon graduation, Angi traveled around the state as a camp instructor for several drill teams, cheer squads, and dance companies. She and her husband moved to Albuquerque, New Mexico where she helped coach a cheer squad. Since moving back in 2000, she has taught in the Salt Lake Valley. 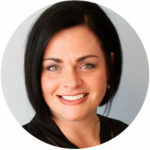 She has taught both competitive companies and recreation classes. Her competitive dances and choreography frequently earned 1st and 2nd places, as well as overall high point awards. She is currently a judge for a local dance competition, and has enjoyed doing that for over 10 years. Angi and her husband have been married for 24 years and have 2 wonderful daughters and really enjoy spending time as a family.